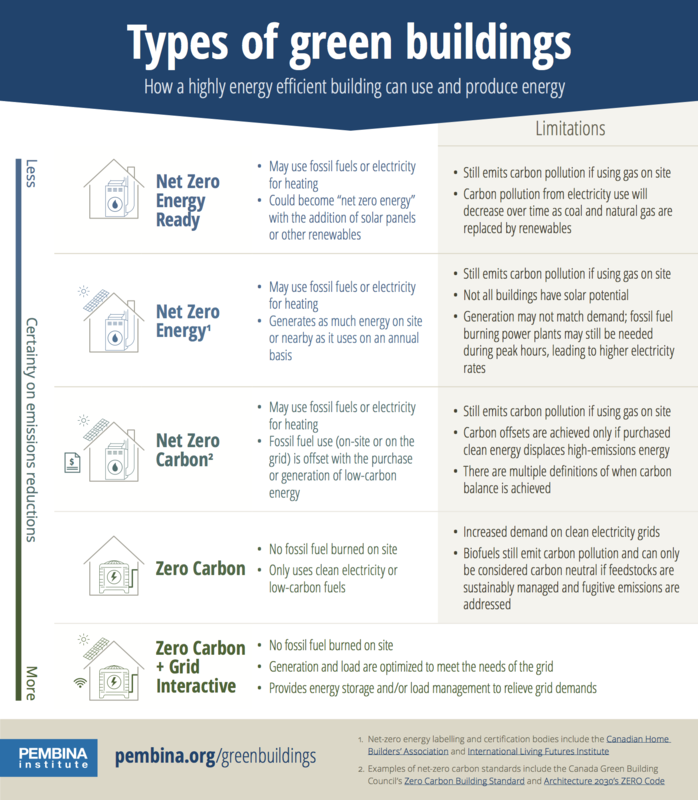 Five types of green buildings explainedInfographic: What do net-zero and zero-carbon buildings mean for energy use and climate pollution? Homes and buildings in Canada can both consume and produce energy in many ways. In the world of green buildings, a variety of terms are used and some confusion surrounds their definitions. The Pembina Institute wishes to thank the Real Estate Foundation of B.C., Sitka Foundation, and North Growth Foundation for their generous support of our work. Tags: National, British Columbia, Energy Efficiency, Urban Planning, Buildings. This Pembina Institute report aims to provide decision-makers a picture of the state of the passive house market, an assessment of its energy benefits, costs, and risks, and a summary of barriers to market transformation and policy solutions advanced in Europe and North America.